When planning a vacation out at sea or on a river, terrestrial considerations usually only extend as far as shore excursions. Whether before or after an ocean cruise or river cruise, there are great land extensions to take advantage of as well. From train rides to AirCruises—thanks to Crystal’s new brand—the world is open to additional exploration. In Alaska, for instance, cruise tours are available from a number of different cruise lines including: Holland America Line, Norwegian Cruise Line, Princess Cruises, Royal Caribbean International and more. In fact, there are so many combinations of cruises and land extensions available that they can honestly be very difficult to navigate online or even with a brochure in hand. Yet, it’s worth one’s time to power through choosing one because the experience is stellar. Years ago with Princess Cruises, my parents and I began our journey in Fairbanks with rail segments extending to Denali National Park and Preserve as well as Mt. McKinley. At the latter, we had one of the most breathtaking views of the mountain range on a rare clearing during our overnight lodge stay. In fact, the cruise line operates its own shoreside Princess Lodges hotels in which to spend time with the brand’s consistent quality in between and on the rides. In the park, we saw all kinds of wildlife from brown bears in the valley to even a family of moose passing through a nearby parking lot, but the highlight was definitely on the train. 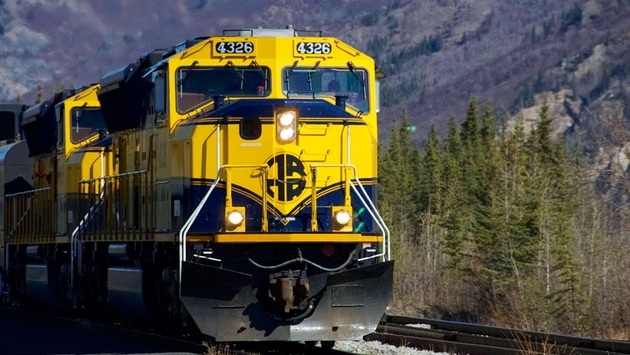 Dome cars are pulled by the Alaska Railroad wherein meals and drinks are served while the passing scenery of the Last Frontier’s interior enchants. The caboose car even had an outdoor platform that, if it weren’t for allowing smoking, I would have stood out on indefinitely. Watching the rails swiftly extend past the final coupling with majestic trees and mountains on either side is a memory I won't soon forget. River cruises in Europe are already so unique for stopping at ports that are immediately in the heart of historic cities. Unlike the hour or two drive to make it to, say, Rome from Civitavecchia in Italy, everything on a river cruise is often within walking distance. Still, there are some sites that are inaccessible from the cruise itself, and that’s when itinerary extensions come in handy. Of course, fans of “Downton Abbey” can visit Highclere Castle, for example, with Viking River Cruises. Also with Viking, a 15-day Grand European Tour is, to begin with, an in-depth experience, but land extensions give guests an opportunity to spend even more time before of after in Amsterdam and Budapest or Prague for another three nights. After being transferred from the ship to the Czech Republic’s capital, guests get to tour the likes of the National Theater, Prague Castle, Charles Bridge, Frank Gehry’s Dancing House, Lennon Wall, Wenceslas Square and more. Crystal is shaking things up in the cruise segment with new ocean, river and expedition products, but it is also taking to the skies for the first time with its Luxury Air, to conveniently whisk guests to and from sailings, as well as its AirCruises, which could be viewed as extensions of traditional cruises or more accurately, cruises of their variety. In fact, they will essentially serve as compressed world cruises, seeing a wide variety of significant destinations without the slow speed of sailing there. The Peninsula Grand Inaugural Crystal AirCruise leaving on August 30, 2017 will, in just 27 days, visit New York City, Chicago, Los Angeles, Tokyo, Beijing, Shanghai, Hong Kong, Manila, Bangkok and Paris. Now that’s quite a land extension.